In order to re-imagine Emory’s Division of Campus Life, a new community-focused position will be added to the current Campus Life leadership, according to Senior Vice President and Dean of Campus Life Ajay Nair. The Assistant Vice President of Community (AVPC) will oversee a very diverse portfolio of campus organizations. Additionally, the search process for AVPC candidates will use a website to be highly transparent and inclusive, making this the first time in Emory history to have a special website dedicated to the search for an administration candidate. 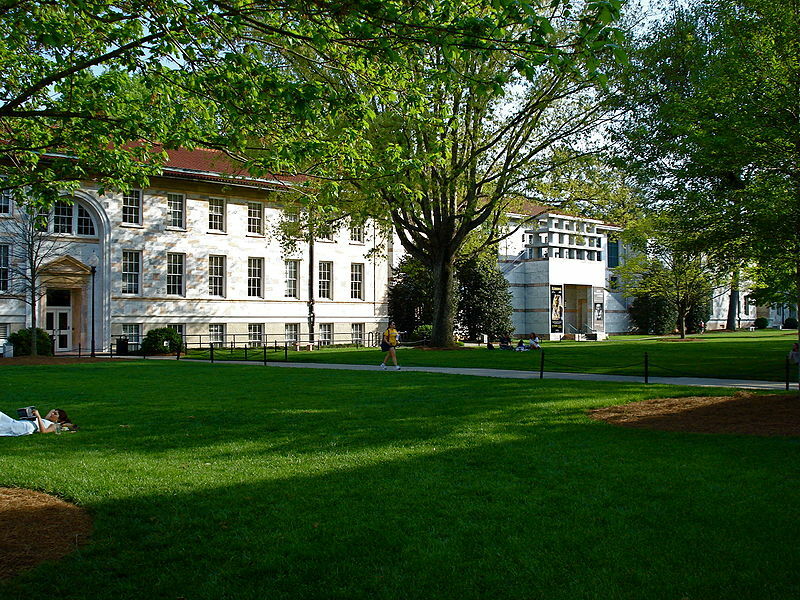 The AVCP’s administrative portfolio will include the Barkley Forum Center for Debate Education; the Center for Diversity and Inclusion, which encompasses the Center for Women, International Student Life, Lesbian, Gay, Bisexual and Transgender Life and Multicultural Programs and Services; the Center for Student Leadership and Community Engagement, the Office of Health Promotion, the Office of Residence Life, the Office of Sorority and Fraternity Life and the Office of Student Conduct. Senior Associate Dean for Campus Life Andy Wilson has been serving as interim AVPC since last summer. However, Wilson announced his resignation last Wednesday and plans to transition out of Emory sometime during spring break this year. Wilson said a new AVPC should be announced long before he leaves in March. Senior Associate Vice President and Title IX Coordinator for Students Carolyn Livingston wrote in an email to the Wheel that the AVPC will build upon the great work that Wilson began less than a year ago. “The AVPC will cultivate a portfolio that incentivizes the creation and encompassing of collaborative opportunities to enhance Campus Life’s co-curricular programs,” she wrote. According to Nair, many of the organizations included in the new AVPC’s portfolio were previously much more decentralized. Campus Life decided to reorganize these groups under the same umbrella so that they “can better share resources, operate with a shared agenda and affect change together,” Nair said. Nair also said he believes this new portfolio will give students a greater opportunity to work collaboratively and to better understand the resources at their disposal. The AVPC will manage a $5.2 million budget and lead a staff of more than 90 professionals and 350 students. The re-imagination of Campus Life structures has been in the works since Nair arrived at Emory about two and a half years ago, he said. “For some time we’ve been thinking about innovative strategies to serve students better, and this is what it is culminated in, this new organizational structure,” Nair said. Campus Life has now begun what Nair is deeming a nation-wide search for a new AVPC. According to Nair, an ideal candidate would be someone who understands Emory students, establishes themselves as a leading difference-maker in the eyes of students and is an advocate and champion of students. “This should be someone who is not just deeply engaged but provides vision for the future,” Nair said. However, the search for the new AVPC will involve more than just the input of Nair and his leadership team. According to Nair, Campus Life has put together a search advisory committee comprised of students, faculty and staff that will provide input during the search process. There will also be open forum sessions where community members who are not part of the search committee can join in and offer input on the search process. “My hope is that by the end of the process many of the community members will be able to meet the candidate and weigh in on the process,” Nair said. Livingston, who co-chairs the search advisory committee with Dean of the Chapel and Spiritual Life the Rev. Bridgette Young Ross, said that Campus Life is currently advertising the position for AVPC. Livingston wrote in an email to the Wheel that at the end of the process, the search advisory committee will present the names of three finalists for the position to Nair for his consideration. College senior and President of the Black Student Alliance Kevin Satterfield is one of the students on the search advisory committee. According to Nair, the website dedicated to the search process should launch sometime before the end of the month and will serve to keep individuals posted on where Campus Life is in the search process. The position profile, the search committee members and information about the portfolio will be featured on the website.